Home > Google News > Google Mobile Images Leads To Wrong Image? Google Mobile Images Leads To Wrong Image? Here is an interesting bug reported in the Google Web Search Help forums. 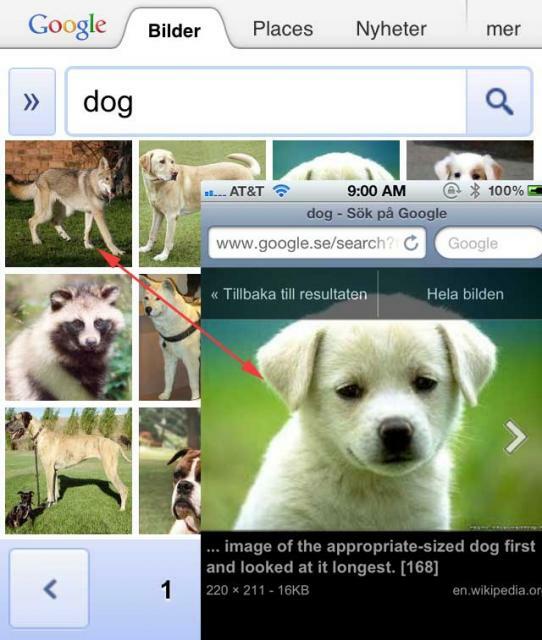 Open up your smart phone, go to Google Sweden, search for [dog] and then click in the images tab at the top (it is the second one at the top). Take notice of the first result and then click on it. Notice a different image comes up? This issue was first reported 10 days ago and since then there haven't been any responses by a Googler. A few other searchers said they noticed the same issue. This is not an issue on Google US and some other Google properties.